It’s been one year since the Greater Toronto Area was paralyzed by a massive ice storm. 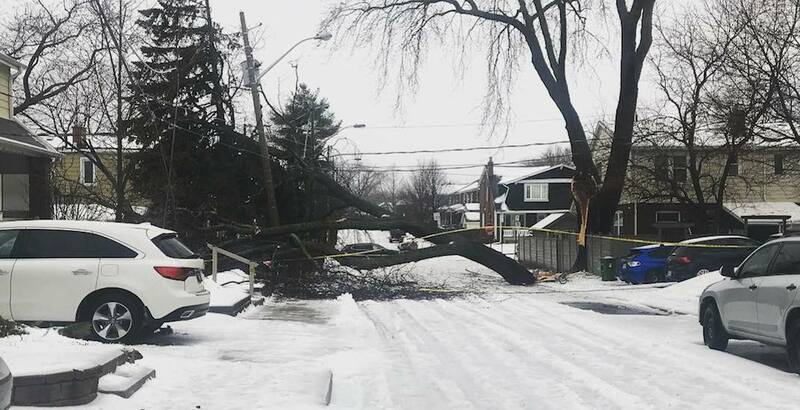 Over the course of a weekend, tens of thousands of people were without power in the GTA and southern Ontario, as the ice storm rocked the province. While a freezing rain warning was announced, no one could have foreseen the terrible outcome of the storm. High winds of up to 100 km/h in some areas, heavy rainfall, and ice pellets resulted in snapped limbs from trees, downing power lines and poles, and hundreds of collisions and flight cancellations. According to the Insurance Bureau of Canada (IBC), the ice storm resulted in over $187 million in damages. Following the storm, the CN Tower was forced to close as large, falling chunks of ice broke windows on nearby high-rise buildings and damaged several vehicles below. As the sun continues to shine today, we wanted to take a moment and look back on the infamous storm. You can check out some of the wildest shots below.